Polk State College’s chapter of the Florida Nursing Students Association racked up a number of honors and distinctions at the organization’s recent convention. Among those was the election of student Lisa Fussell as president of the FNSA. Her election means that, for the first time ever, a representative from a single institution will lead both the state’s student and professional nursing associations. While Fussell will steer the student organization, Polk State nursing professor Dr. Mavra Kear was recently elected president of the professional organization, the Florida Nurses Association. 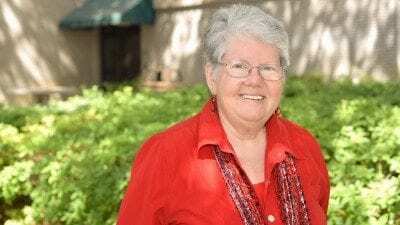 Dr. Annette Hutcherson, director of Polk State’s nursing department, said the leadership positions are proof of Polk State’s dedication to the nursing profession. “It shows the commitment of faculty and students to the profession itself – that nursing is not ‘just a job,’” she said. Also at the convention, which took place Oct. 27-79 in Daytona Beach, Hutcherson was again named director of the year, having previously received the honor in 2009. She was nominated by Polk’s FSNA members, who cited her ability to support the organization without compromising its autonomy. Hutcherson is the first director to win the award twice. “It is an honor to be recognized. All the directors in the state are worthy,” Hutcherson said. The Polk State FNSA chapter was also named Chapter of the Year at the convention, a title it has received multiple times in the past several years. The Chapter of the Year is selected based on its level of participation in various FSNA events. Polk State President Dr. Eileen Holden hailed the Chapter’s achievements. “These honors affirm the values that we so often reference – leadership, service, excellence, integrity – and they are a credit to the students involved, as well as to the faculty mentors who have invested in the development of our future healthcare providers. We are very proud of what this recognition says about the award winners, about Polk State’s outstanding Health Sciences programs, and about our community. When Polk State wins, Polk County wins. As we always say, ‘We are Polk,’” she said. FNA Executive Director and FNSA consultant Willa Fuller also congratulated Polk State on its success. 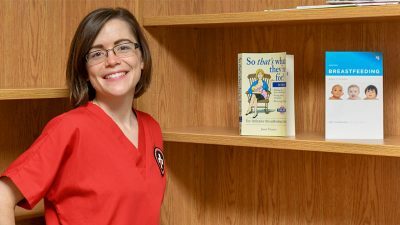 “The program director, faculty and students at Polk State College have a history of dedication and enthusiasm in its participation and commitment to the Florida Nursing Students Association,” she said. •Polk State’s Denise Knapp was elected second vice president of FNSA. •Polk State’s Monica Alday was elected director of district four, which includes Florida Southern College, Hillsborough Community College, Pasco-Hernando Community College, Polk State, St. Petersburg College, University of South Florida and University of Tampa. Fussell was previously director of the district. •Polk State College nursing recruiter Lynda Schaak received the Childhood Amblyopia Prevention Screening (CAPS) Faculty Award. That award is given to a faculty member who has significantly incorporated CAPS into his or her curriculum. Amblyopia is the most common vision problem among children, and can lead to poor vision or vision loss. Schaak also received the FNSA’s Community Health Award. The CAPS and Community Health awards are the only ones given by FNSA to recognize a faculty member. •The Chapter won the Activities Award for staging the most outstanding events and activities, including hosting blood drives, serving meals to the homeless, and providing health screenings. •The Chapter won two Breakthrough to Nursing awards. One was for its Miles of Pillowcase Smiles project, which took place in September, designated as childhood cancer month. That project involved collecting donations of fabric and sewing pillowcases that were then donated to ConKerr Cancer. ConKerr delivers the pillowcases to children who are undergoing cancer treatment throughout the Tampa Bay region. Fussell said the pillowcases serve as a reminder to kids that someone cares about them. The Polk State FSNA sewed 50 pillowcases in September. 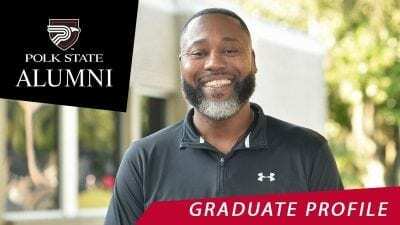 The second Breakthrough award recognized Polk State’s FSNA mentoring program, which pairs incoming nursing students with a student who has complete the first semester of the program. The Polk State FSNA is working to expand the mentoring program so that students in the new RN-to-BSN program will mentor nursing students about to graduate and enter the profession. Polk State College’s nursing program offers associate and bachelor’s degrees, and its students consistently score above the state and national averages on the NCLEX-RN, the licensing exam required to become a registered nurse. 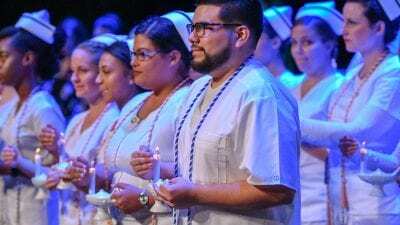 The program serves approximately 400 students in any given term, and 60 percent of the county’s registered nurses graduated from the program.